One of our favourite stores is London based Labour and Wait, a place where you can step back in time with functional timeless homeware. 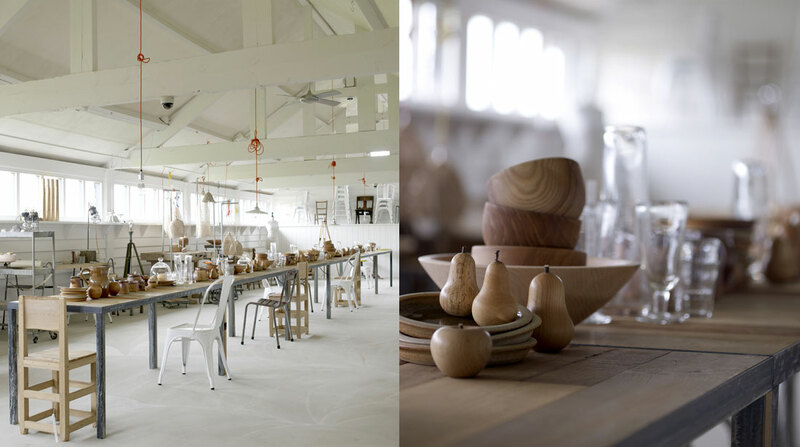 With utilitarian tableware, tools and clothing Labour and Wait use traditional makers from around the world creating modern originals. Head to Shoreditch, Bethnal Green or Dover St Market to explore the range or check out labourandwait.co.uk and start shopping. Based in Brighton WORKSHOP is a homeware and lifestyle store oozing simplicity and style with an over all utilitarian feel about it. With gorgeous hand crafted ceramics & tableware to scented candles there is functionality and beauty throughout. You will fall in love with it all. Make sure you check out the website which features an edited range of the WORKSHOP collection, and be sure to pop into their store if and when you visit Brighton. If you are looking for a bit of escapism from city life and like to fill your home with neutral, efortless, utilitarian pieces then you need to head to Baileys. Housed in a converted barn in Herefordshire Mark & Sally Bailey have created a stunning shopping space full of gorgeous homeware from all over the world. There is an abundance of rustic pieces including crates, salvaged furniture and hand crafted soft furnishings, as well as recycled goods. Our favourites include the lighting, apple crate storage and hand woven cushions. This emporium covers everything you need with furniture, lighting, accessories, kitchenware and hardware all with a neutral colour pallete, allowing customers to easily fit items into their homes. Alongside the shop there is a tearoom, which means you can make a full morning or afternoon visiting Baileys, stop for a cup of tea & cake and then continue shopping. Visit the online shop at Baileyshome.com or if you can, make a trip to the shop to be wowed. Here, you become besotted with recycled and salvaged furniture, spend hours rifling through piles of linens, throws, rugs and towels and are led to believe hanging hooks and pot brushes are covetable items in their own right. Mark and Sally Bailey, the force behind Baileys Home and Garden, have published three books expounding their design philosophy. We talked to the couple as they were wrapping up their fourth tome. 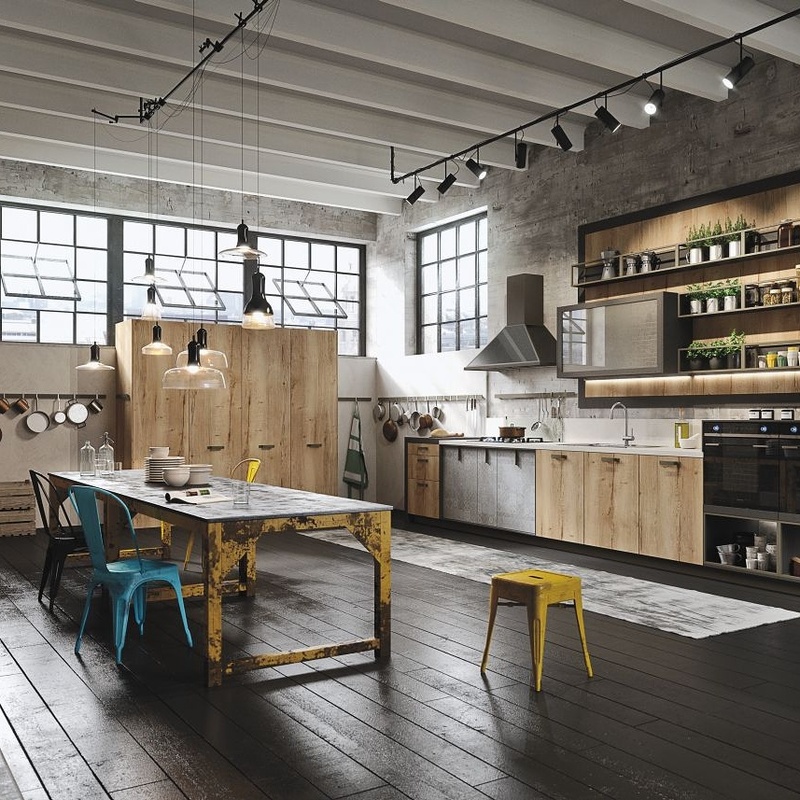 Taking a slightly softer approach to the Industrial trend of last year, Rustic Utilitarian focuses on worn and textural finishes – combining hard working materials with a soft colour pallete. In the 1900s utilitarian design was created for use rather than beauty, but now things have changed. For example the practical use of enamel-coated tableware and light shades has now become desirable for the home as objects of beauty, but still maintaining the usefulness if needed. Another example of this adaptability could be galvanized buckets which aren’t necessarily used for carrying water anymore, instead used for storage or as a planter. The great thing about this trend is that traditional materials are there to be used, whether you choose to use them for function, for looks or both, it doesn’t matter. Mix wood, metal and leather on furniture and seat covers, softening the look with linen and wool soft furnishings such as throws and floor rugs. Wall colours to consider are cool grey, moss green and cream, which work really well next to metal and wood tones. You can also add small punches of colour like yellow and red – achieve this with chairs, lighting and accessories.